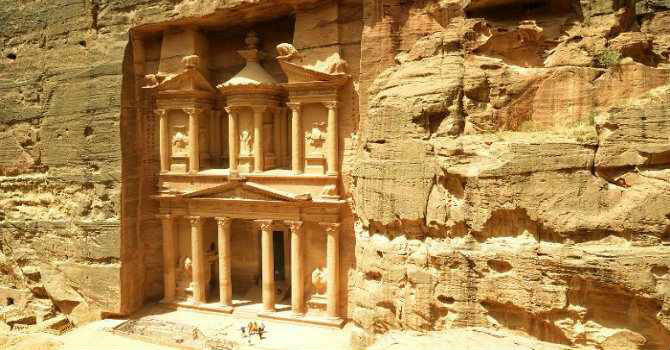 We will meet you in Aqaba port then pick up from your cruise exit door and transfer privately for one and half hour in an AC modern van to visit Petra, one of the Middle East top attractions. Start your day with horseback ride along Siq Canyon, lovely narrow gorge extends of about 1 Km and leads to the famed Treasury. Proceed strolling the Street of Facades, wander the the Royal Tombs & admire Qasr Al Bent. Get your lunch meal then drive back to Aqaba port.